Harold E. Ballard’s affiliation with Canadian Football began when he purchased the Hamilton Tiger-Cats in 1978. During a time when the fortunes of the Tiger-Cats were sagging, he helped to revitalize the team and maintain the football tradition in Hamilton. “Pal Hal” and long-time friend and team vice-president, Francis “King” Clancy, were the team’s number one fans, travelling to Tiger-Cat games across the country. The Ballard-owned team appeared in four Grey Cup Championships, and was victorious in the 1986 contest over the heavily favoured Edmonton Eskimos. The Grey Cup Championship, one of Ballard’s proudest moments, was saddened only by the death of “King” Clancy. 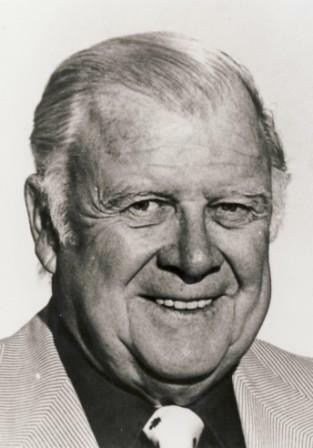 In his youth, Harold Ballard participated in speed skating and powerboat racing. He was the son of a skate manufacturer and became involved with the hockey business at an early age. Harold E. Ballard is also a member of the Hockey Hall of Fame.